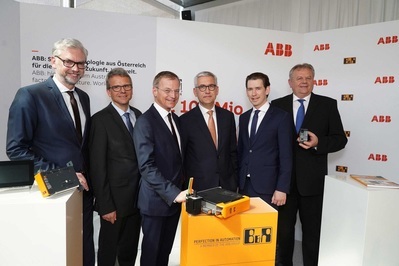 Zurich, Switzerland - April 06, 2018 - One year after announcing its acquisition of B&R (Bernecker + Rainer Industrie-Elektronik GmbH), ABB is to invest EUR100 million in Austria to build a state-of-the-art innovation and training campus at the home of B&R in Eggelsberg, Upper Austria. It is the largest organic investment in industrial automation in ABB's more than 130-year history and lays the foundation for around 1,000 new high-tech jobs in Austria. ABB global innovation and training campus. One year after announcing its acquisition of B&R (Bernecker + Rainer Industrie-Elektronik GmbH), ABB is to invest €100 million in Austria to build a state-of-the-art innovation and training campus at the home of B&R in Eggelsberg, Upper Austria. ABB. East view of global innovation and training campus. The new innovation and training campus will develop technologies for the factory of the future, based on ABB AbilityTM, in which production will be undertaken autonomously by smart and cloud-connected machines and robots. With this investment, ABB is delivering on its Next Level strategy, which defines innovation as a key driver of profitable growth. The company invests $1.4 billion in R&D annually, and has a team of around 30,000 R&D and application engineers. B&R has more than 1,000 employees working in R&D and application development. ABB. North East view of global innovation and training campus. 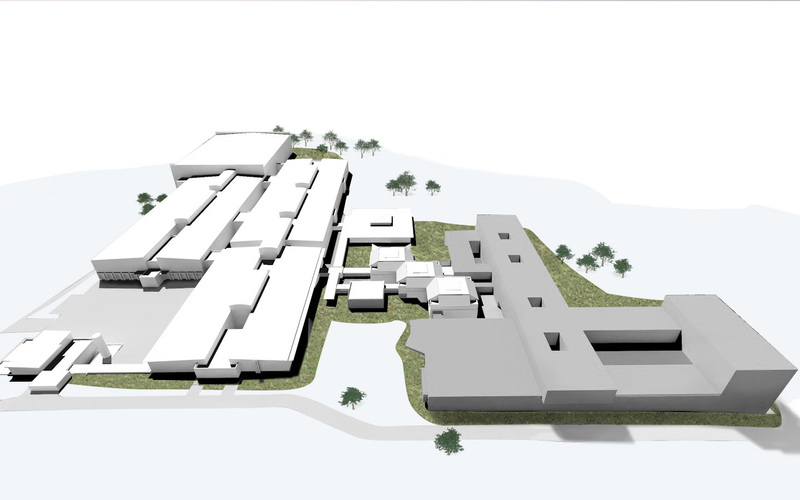 The new research and development campus will cover 35,000 m² and be home to a significant number of state-of-the-art facilities. Alongside ultra-modern R&D laboratories, which will develop and test new automation technologies, from industrial control systems up to machine learning and artificial intelligence, there will be an Automation Academy to train and educate customers, partners and employees in these technologies. The ground-breaking ceremony is planned for this summer, and the new campus is expected to be up and running in the course of 2020. 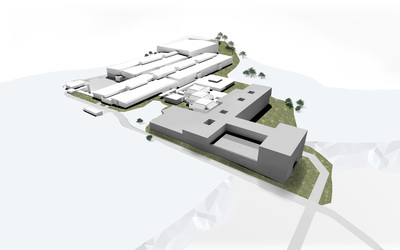 Once complete, the Eggelsberg site will be one of ABB’s largest research and development centers. 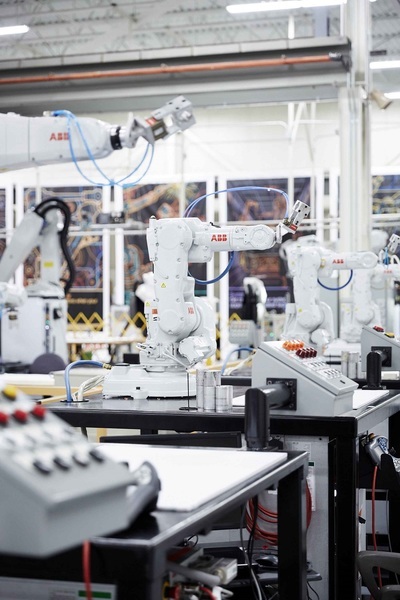 With the new campus, the world’s second-largest provider of industrial automation solutions will further expand its leadership position in machine and factory automation. 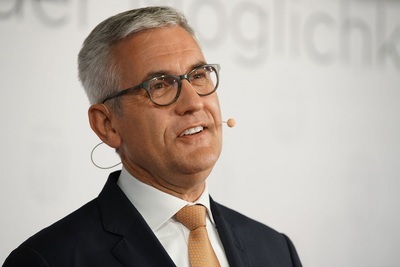 The development of disruptive technologies will enable ABB to better serve the highly attractive $20-billion machine and factory automation market segment. ABB acquired B&R, then the largest independent provider of product- and software-based open-architecture solutions for machine and factory automation worldwide, in July 2017. Today, B&R is integrated into ABB’s Industrial Automation division as its global Machine & Factory Automation business unit. With the combined portfolios, ABB is today the only industrial automation provider offering customers the entire spectrum of technology and software solutions around measurement, control, actuation, robotics, electrification and digitalization. “B&R has had an excellent start within ABB and has exceeded our expectations. We are well on track to achieve our goal of revenues of more than $1 billion soon,” said ABB CEO Ulrich Spiesshofer, at a press conference in Linz with the Austrian Chancellor, Sebastian Kurz. 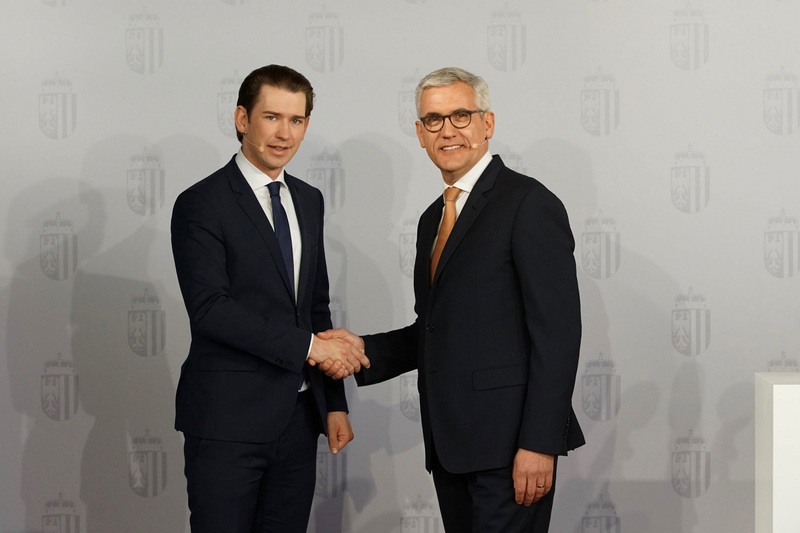 “With this clear commitment to the Eggelsberg location, ABB has established itself as the market leader in automation in Austria,” said Chancellor Sebastian Kurz. 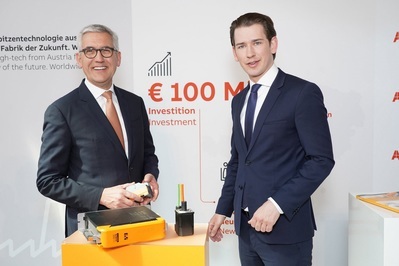 ABB CEO Ulrich Spiesshofer and Austrian Chancellor Sebastian Kurz with ABB products. This will also be beneficial for the country's educational landscape. „Further strengthening our good relationships with universities, universities of Applied Sciences and higher technical education institutes is part of our innovation and research strategy. This way we can further accelerate our speed of growth and innovation as well as extend our technology leadership,” said Hans Wimmer, Managing Director of B&R. 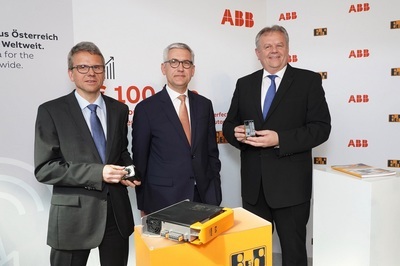 ABB’s Peter Terwiesch, Ulrich Spiesshofer and Hans Wimmer. “This is a great day for B&R,” said Josef Rainer, Co-founder of Bernecker & Rainer Industrie-Elektronik GmbH. ABB Senior executives with Michael Strugl (left), Deputy Governor of Upper Austria, Thomas Stelzer (middle left), Governor of Upper Austria and Sebastian Kurz (middle right), Austria Chancellor. ABB operates in more than 100 countries with about 135,000 employees.